It is probably not easy to be the son of Pino Minafra and try to find your musical identity. But there are advantages too: from early childhood Livio was hanging out with great musicians such as Sergey Kuryokhin, the whole of Italian Instabile Orchestra, and eventually, Cecil Taylor. The glimpses of all these influences are there, but the strongest point is Livio's own identity. 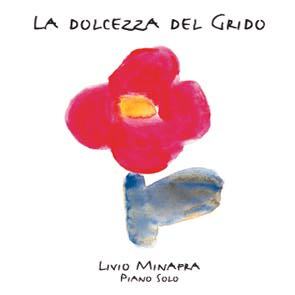 With his first solo CD Livio Minafra has come of age recording twelve compositions full of passion, virtuosity and drive of a Mediterranean young man. �way back in June 1992� when I attended the Europa Festival Jazz in Noci, in the neighbourhood of Bari (Southern Italy), on the last day of the festival, I met a ten-year-old kid, who was studying piano and percussion at the time. His name was Livio and he was the son of my very first Italian jazz friend, a wonderful musician and a great man Pino Minafra. It was in 1999 when I received a package with a very nice letter from Livio Minafra and an audio tape with his first solo piano concert on it. There was no need to play the cassette from top to bottom to hear that the seventeen-year-old kid held his instrument and his audience in the palm of his hand. This opened the door for me to a two-hour Radio Broadcast about the Minafra's family and a complete broadcast of the kid's first solo concert. I also included in the programme some compositions from his father's explosive Sud Ensemble "Sudori" as well as a few tracks from his mother's solo harpsichord CD "Nuove musiche per clavicembalo" � Margherita Porfido. In the very nice letter which Livio sent to me, he dreamt of releasing his solo CD. So I wrote to him: "Livio, when you feel ready for action, drop me a line, and I will help you to produce your first CD". He accepted and we became partners. When I recently received the master tape I was really elated by the art of my young partner. With a dozen of musical portraits Livio Minafra proves himself to be a born musical painter; and in this case he reminds me a little bit of the great Duke Ellington, who used to dedicate a lot of his pieces to the people he loved. "La Dolcezza del Grido", or "Crying with Tenderness" will be a happy surprise for many music lovers and I have a feeling he'll even get better and better in time because the Minafra Kid is really terrific. I dedicate my first piece of work to my parents for passing their quest for meaning and spirituality on to me, to my precious little star, Mimma, to the first teacher in my classical music studies, Francesco de Santis, and to Antonello Salis, a great musical leading light and an example of colourful human madness. The Grand Piano "Ed. Seiler" itself which I played on was the official instrument of the "Europa Festival Jazz" in Noci - from 1989 to 1993 - as well as of the "Talos Festival" in Ruvo di Puglia, Bari - from 1993 to 2000. Many great piano players played this instrument in the past. For several years now it has belonged to my family, so I can say that by playing this piano I found the inspiration for most compositions recorded on this CD. Therefore, choosing to play my own piano for the recording, without intentionally altering the quality of its sound enriched with real life experience, helped me to find the original sound of the music on this CD. My sincere thanks to Tommy Cavalieri, sound engineer at the recording studio "Sorriso" in Bari, Gigi Pedaci, for his valuable tuning work, John Rottiers, for the support he promised me since I was 17, Giuseppe Strafella , for his English translations, and, last but not least, Leo Feigin, who trusted my work. Without them, this project wouldn't have been on the wing.